All the news coverage of the G8 meeting (on NPR and the BBC at least, since you won't hear anything about it on the US media) has meant that I've heard an unusual amount lately about African nations that one doesn't normally hear covered that much even on NPR and the Beeb. Within two hours today I heard two pieces on two different shows about Eritrea. You've probably never heard of Eritrea. Neither had I in 1993 when I met a tall, lanky Eritrean named Teclu Tesfazghi. At that time, almost no one had heard of Eritrea, because it was the world's newest nation, after having just won independence after 30 years of war with Ethiopia. Tec asked me to donate my design services to help fundraise for the International Committee for the Eritrean Blind (ICEB). Three decades of war had devastated the small North African country's population. Nearly everyone had been touched by the war; tens of thousands had lost limbs, eyes, and so on. The ICEB was establishing itself in the U.S. through expatriots living and working here. Tec was doing some contract work with the City of Palo Alto, where I had worked until very recently, and he was volunteering to raise money for the ICEB. I designed and wrote content for a calendar that was to be sold by local volunteers to raise funds to send back to Eritrea, in order to create skills-building programs that would allow the blind to go back to work. We had almost no photos or other graphical assets for the project, and it's not as if you could go to a stock agency for photos of Eritrea, so I had to be very creative. I also had to do a lot of research on this country, in order to create some interesting text for the calendar. This was a bit of a challenge, since the country was brand new and encyclopedias still had it listed as a province of Ethiopia, if it was mentioned at all. 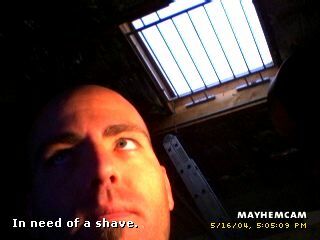 This was, I might add, before the time that the Web made such research a lot easier. In the years since the project I've followed the small nation's progress with interest, whenever I came across and information on it. While Eritrea's future was very bright in the mid-1990s, war with Ethiopia flared up again and the democratically elected head of Eritrea shifted towards dramatically totalitarian policies. There are precious few books about Eritrea, but another one I enjoyed quite a bit was To Asmara by Thomas Keneally, who is most well known for having written Schindler's List (the book which the movie was based on). To Asmara is a novelized version Keneally's own travels in the land during the last years of the revolution that set Eritrea free from Ethiopia, and it was a very good book indeed. I listened to the same interview -very interesting. However, while the point was made that the US had provided funds and arms to the country, it seemed to me that the author was pretty balanced in apportioning blame. The Soviet Union's involvement in Africa in the 60s and 70s was notorious, and is at the root of most of the revolts that took place on the continent then. The more recent history suggests that even without western interference, the nations (Ethiopia and Eritrea) themselves have behaved fairly badly. And, the UN's inability to help bring stability is interesting, only because as the author noted, the country was on the right track (and could have served as a great African role model) only a few years ago. Lots of blame to go around I guess. I found it very interesting that the war is more of a land grab - Ethiopia coveting coastal geography and the ports that come with it - than the stereotypical "tribal" fighting that westerners probably think of when they hear this subject. Paul: Indeed, what you say about both sides of the Ethiopian-Eritrean war(s) behaving "fairly badly" is true. I'd characterize it as childish squabbling over the border, if that wouldn't make it sound much less serious than war is. Ethiopia has always coveted the coastal access. This is fairly understandable, since among other things it can do a lot for the economy of a nation to be able to import and export via ocean ports. This was, I beleive, one of several reasons why Eritrea was doing well in its early nationhood, as it had become the site of one or more Coca-Cola bottling plants. 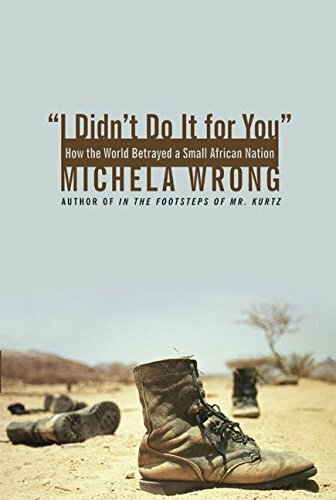 I must admit some ignorance about the role of both the Soviet Union and the U.S. in the political happenings in Africa in past decades, which is one reason why I'd like to read the new book by Michela Wrong.